FYI....read on for a CHOCOLATE giveaway...found in #4! 1. 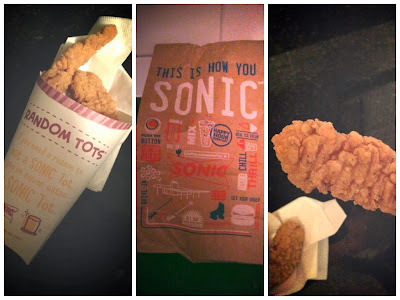 We don't eat a lot of fast food in our house, but we recently had the chance to try Sonic's Super Crunch Chicken Strips and I have to say I was pleasantly surprised. The few times I've been to Sonic, it's been for ice cream or a Cherry Limeade, so it was a change of pace to dip into the savory side of the menu. The chicken strips were indeed very crunchy, and not the slightest bit greasy! If I find myself in a situation where fast food is the only option, I definitely won't be opposed to getting these again! They're only available for a limited period of time, so try them while you can! Note--I was not compensated for this review, although I was sent a giftcard to try the chicken strips. 2. 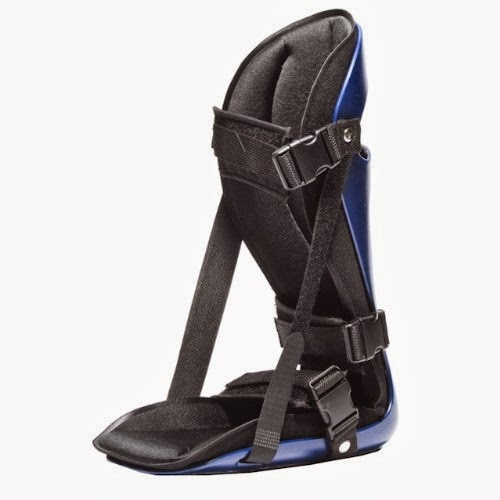 This atrocious looking thing has been my best friend for the past month and a half. After dealing with some pretty severe (self-diagnosed) plantar fasciitis that put me completely out of commission for running and left me with a limp I feared would term permanent, I was desperate to try something...anything! I forked over $26 to purchase this night splint on Amazon and have been sleeping in it religiously ever since. It surprisingly hasn't disturbed my sleep (the pregnancy bladder is another story!) and I've had a significant decrease in pain since beginning to wear it. I've been able to resume running and stepping out of bed in the morning is no longer excruciatingly painful. If you're struggling with plantar fasciitis, I highly recommend giving this a try! 3. 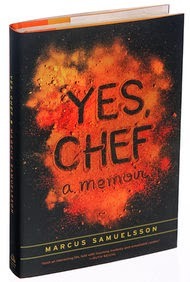 Speaking of things I love, Marcus Samuelson's memoir Yes, Chef is a must read if you love memoirs, are curious about the life of a chef, or have a particular interest in Samuelson. I fell in love with his story that took him around the world: born in Ethiopia, raised in Sweden, and finally acquiring well-deserved fame in New York City. Mark my words--I will be visiting his restaurant Red Rooster on next year's NYC trip! We actually tried to go this year, prior to me even reading the book, but couldn't get reservations in time. It's a top priority from here on out! 4. Any other chocolate lovers out there? 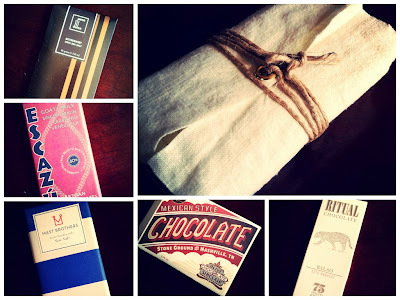 I was recently sent some craft chocolate, courtesy of Bar & Bean that we've been loving. The company is all about offering small batch chocolate, which they market and sell in tasting sets such as the Baker's Set I received. 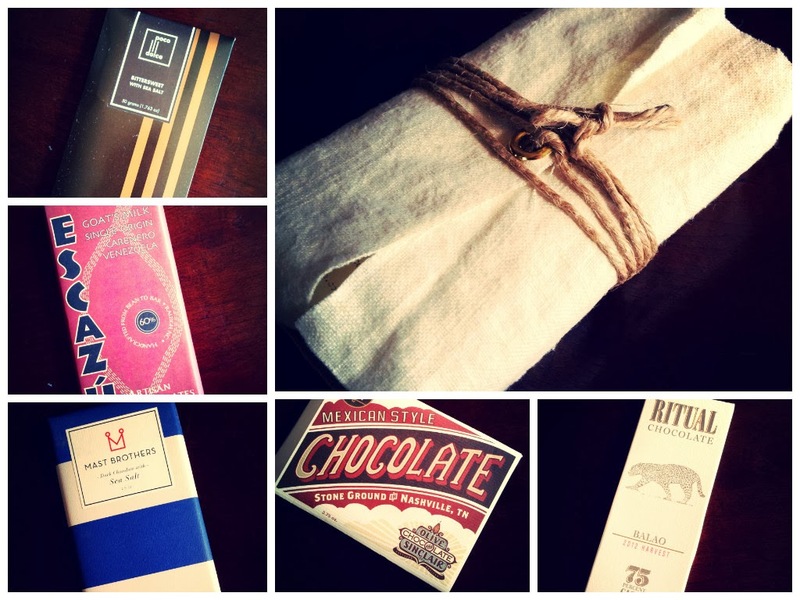 I originally thought I'd use them in baking, but once the chocolate bars arrived, so beautifully packaged, I realized I was more interested in savoring them, especially after learning how much time, effort, and money goes into producing these unique chocolate bars. The flavors are far and above better than any chocolate bar you'll buy in the store...much as I love a good Hershey's dark chocolate bar, it can't even compare to the quality of any that I received! Want to try it yourself? I received an extra Baker's Set to send to one of you...leave a comment telling me your FAVORITE kind (brand or flavor) of chocolate. I'll pick a winner Monday (National Chocolate Day!) at 10 pm Central and email the winner so I can ship out your chocolate. The winner, picked by random number generator, was Commenter #13 Tracey, who has been contacted!